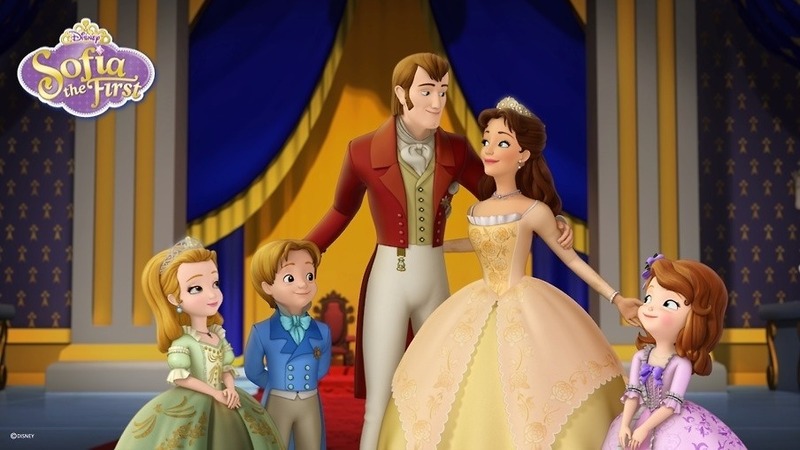 Sofia's family. . HD Wallpaper and background images in the Sofia The First club tagged: photo. This Sofia The First photo contains dinner dress, dinner gown, formal, and evening gown. There might also be gown, bridesmaid, maid of honor, gown, and robe.